← How Far Have We Come? Why, you ask, is the egregious example of tweeness interesting? Okay, first, it’s dated. 1911, on the back. It’s addressed to Blanche Gladson in Rogersville and I see a lot of cards addressed to her. It’s from her brother, Hal. It’s pre-WWI, embossed, and probably lithographed in Germany. It was never mailed. 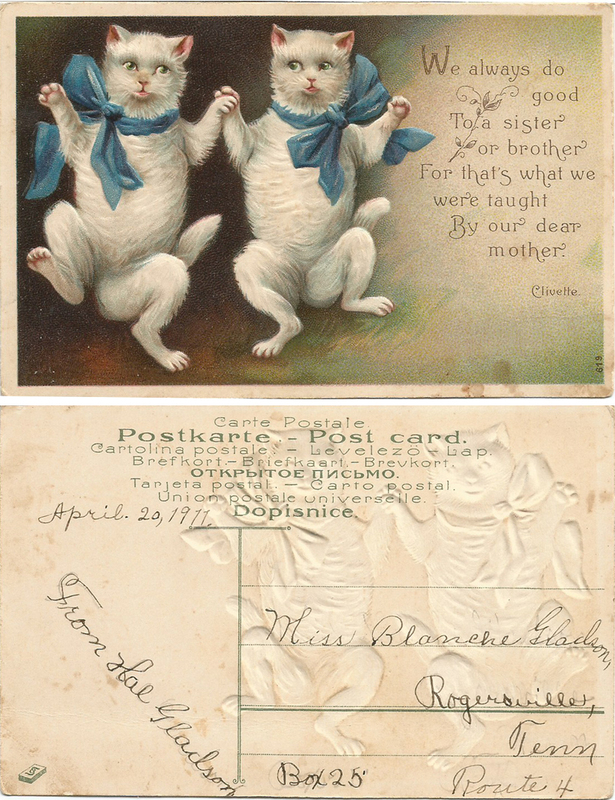 Posted in Existing photo processed by Bob Lawrence and tagged Blanche Gladson Rogersville TN, Germany, lithographed postcard. Bookmark the permalink.